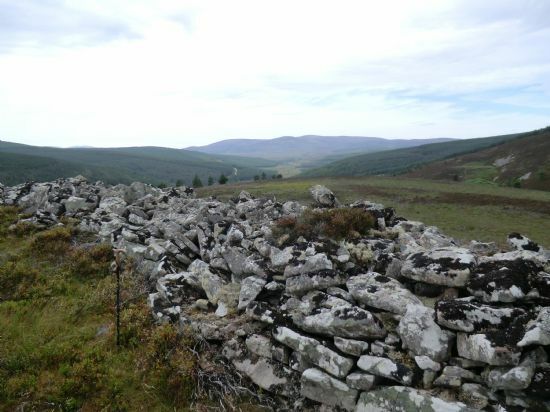 This fort is situated on an outlying knoll of Cnoc an t-sabhail, on the south-eastern flank of the hill. It may date from the late Bronze Age and have been in use intermittently through the Iron Age until Pictish times. These periods cover approx. 1500 BC - 900AD but it is unlikely that the fort was occupied constantly throughout but has undergone a series of periods of use, reuse and abandonment. Collapsed walling is evident on the northern and western edge indicating a phase where the settlement was defensive. The other two sides of the hill probably did not require defensive walling as the south and east sides drop very steeply from the top of the hill. Some theories suggest that the walling on Iron Age forts was not for purely defensive purposes but also played as defining the site as a status symbol – emphasising the resources and power of whoever lived at the site to any people passing through the region. A steep rocky trackway to the top is located up the eastern flank and is easily identifiable in spring and autumn when the vegetation growth is lowest. 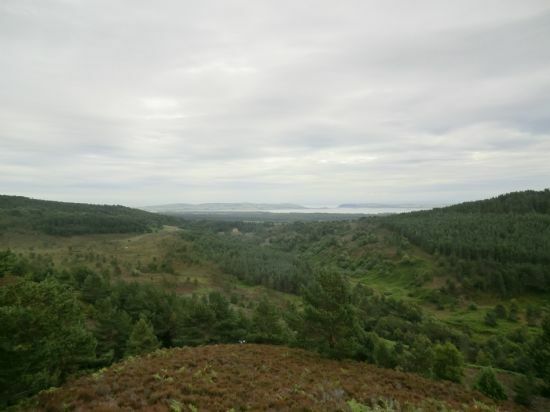 Views from the fort are extensive, to the west up Strathrory to Struie, to the east down the Aldie Water and to the south-east down Scotsburn to the Sutors of Cromarty. This would have been useful for sighting attackers coming to the fort and for controlling routes through the area. View to the Sutors and Cromarty Firth from the fort. At the present time there is a B-class road running from Lamington, in a south westerly direction via Dalnaclach, Scotsburn, Torran, Inchindown, Dalnavie and then westerly over the Struie Road to Strathrusdale. This modern road is likely to preserve the line of an earlier routeway through the region, linking the fort with the surrounding contemporary sites such as the hut circles, settlements and other defensive sites like Scotsburn House dun. 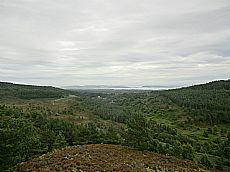 View along Strathrory from Cnoc an Duin. 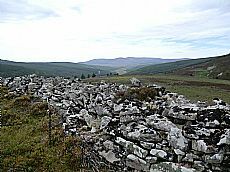 Above the routeway at heights 120 m - 190m above sea level there are archaeological remains from earlier prehistory, including the East Lamington Long cairns, the Scotsburn Wood Chambered Cairns, and the Kinrive Hill Settlement, Field System, Long cairns and Chambered cairn. 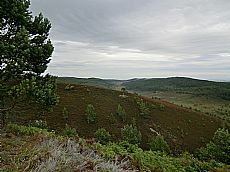 Therefore, this routeway, with the Strathrory extension to An Duin, is likely to have been used in prehistory in order to interconnect the fort, dun and related settlements as well as providing an accessible natural routeway in earlier prehistoric times. Find out more about the sites in this area and the routeways connecting them on the ARCH website here.